Weekend of PBs and Podiums! 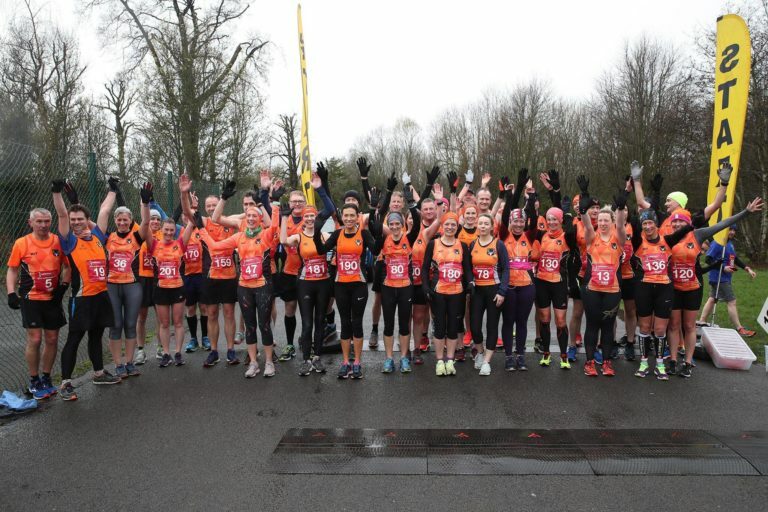 Despite the sometimes wintery and unpredictable March weather there was evidence of a Spring in the step of Orangegrove AC with a large number of athletes turning out for Addiction NI Race to Recovery and the Sprint Squad heading to Tullamore for the Irish Master Indoor Championships. 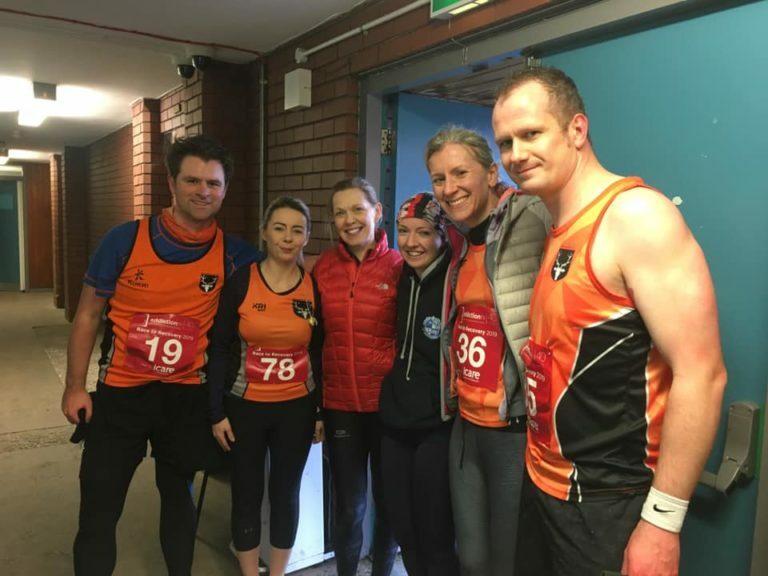 Due to a number of members being side lined due to injury or illness a smaller than usual OAC sprint contingent travelled to Tullamore on Sunday to compete in the Irish Masters Indoor Championships. As ever the OAC team acquitted themselves well and put in some strong performances to come away with several medals. George Gribben (M60) bounced back from the disappointment of missing out on a podium by the closest of margins (0.01 seconds) in a very close 60 metres final by taking a bronze medal in the 200 meters. Returning to competition on the track David Quigg (M60) finished 4th with a strong run in the 400 meters. Making his debut at Irish Championship level Ross Robinson (M40) came a very commendable 5th place in a very competitive field in a hotly contested 400m race. 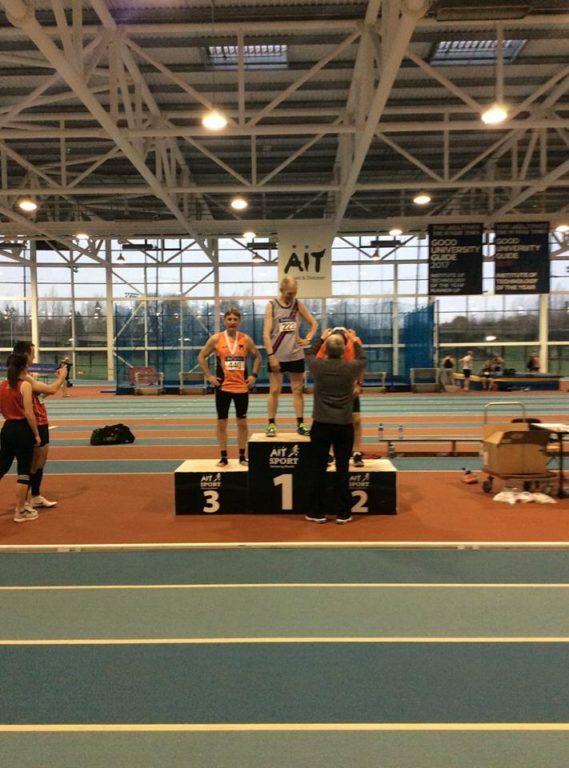 Following on from his success at the Scottish Indoors a couple of weeks ago the always vivacious Jim Harris (M70) put in a series of strong performances to add to his 2019 indoor medal haul by taking silver in 200 and 400 metres and a bronze in the 800m. 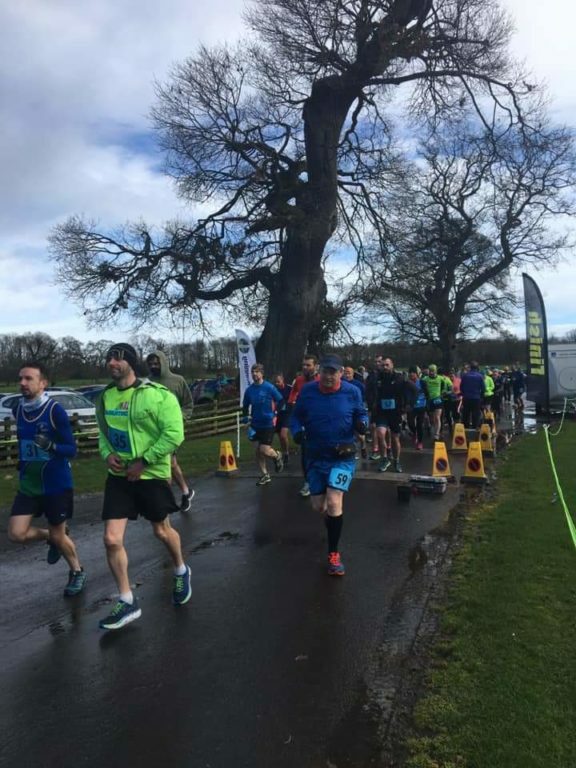 As a precursor to running in the Club Championship Race on Sunday this week our Running Travelogue Michael O’Donaghue had a bit of staycation at Shanes Castle County Antrim to take on a trail marathon run by Atlas Running. This is Michaels report on what seems to be an interesting and varied run that other members may be interested in next year. Probably best known for being extensively used in the Game of Thrones series, Shanes Castle is a ruined castle on the edge of Lough Neagh surrounded by extensive gardens. It leads onto Randalstown Forest, which is itself dotted with lots of pretty trails next to the Maine river. Combined, the area makes a great location for trail races. 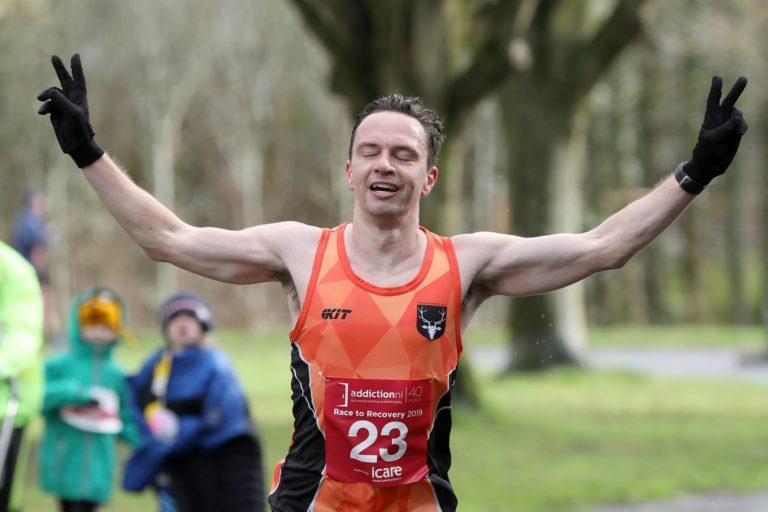 Atlas Running, who specialise in challenging ultra events organised half marathon, marathon and ultra marathon distances around a 13.1 mile loop taking in both Shanes Castle and Randalstown Forest.Although it wasn’t as hilly as many trail marathons, it wasn’t without its difficulties. The rain held off, but it was pretty windy, quite mucky and waterlogged in parts, and it was tricky to run on the roads wearing trail shoes after extensive muddy trail sections. 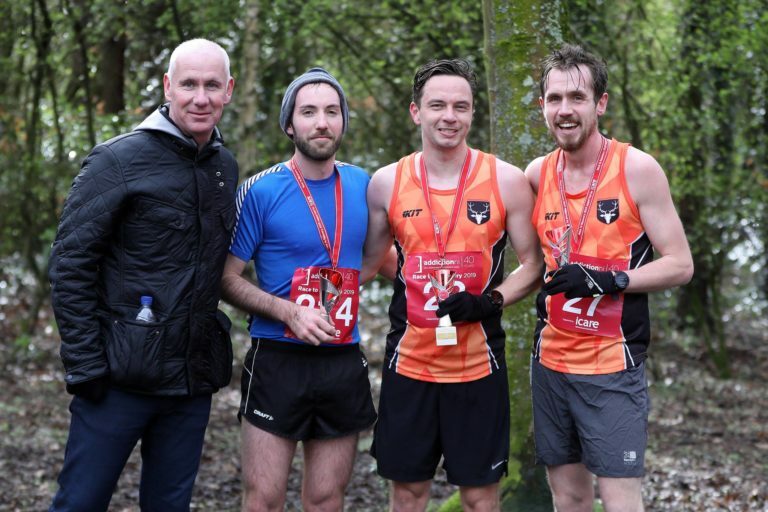 Overall, though it was a great course, which seems relatively underused for events or for general public use in comparison to Castlewellan or Tollymore. In the event, I started off strongly, doing the first half in under 1.45, but struggled a bit in the later sections as the 40 mph winds took their toll. Overall I finished in 15th place with a time of 3.47.57. The winner was Enda McNulty with a time of 3.22.08. 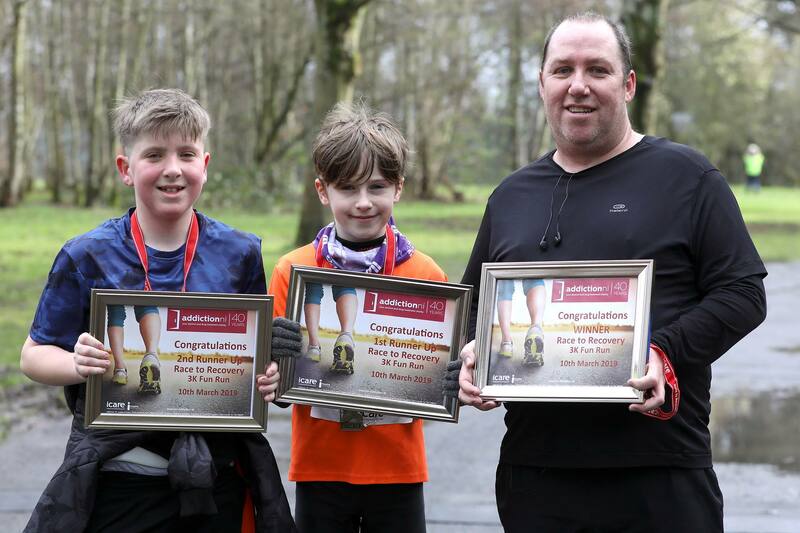 As mentioned earlier the main OAC event of the weekend was the Addiction NI Race to Recovery 10km race held at Ormeau Park on Sunday. This was race 2 in the Orangegrove Club Championship and once again there was a large turn out from the club competing and supporting this charity race. 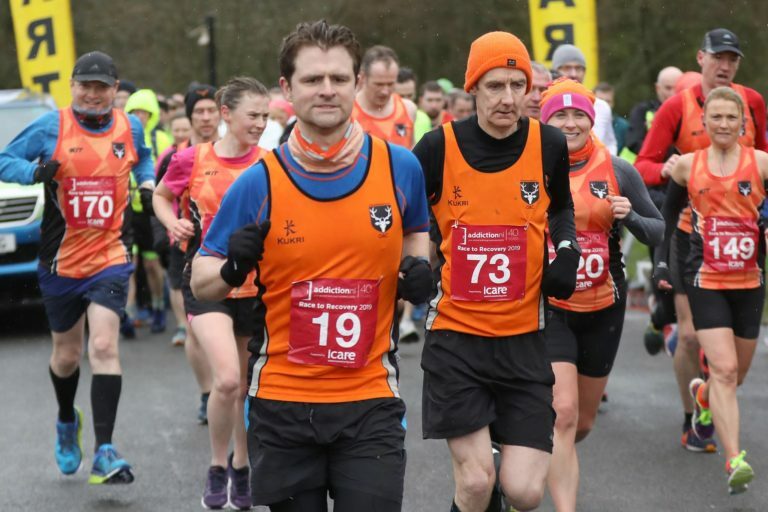 With Orangegrove athletes making up almost a quarter of the field there was an air of anticipation that with tough marathon and half-marathon training programmes paying dividends there would be some extra bling on show come the end of the race. Despite the tough wintery conditions there were some great performances and OAC as predicted dominated the race standings with five of the top six wearing the orange vest. 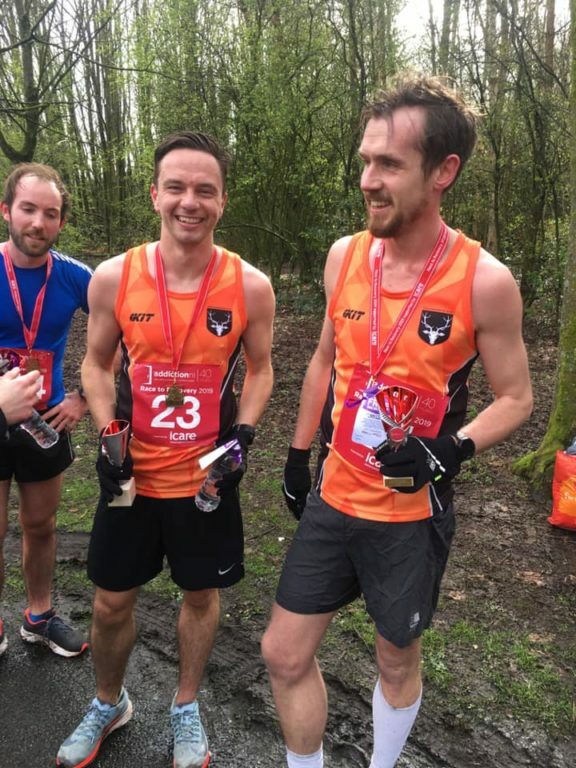 In a tightly contested race for the podium positions in the men’s race Danny Bradley stole the show with a PB performance of 36:45 mins to beat Lagan Valleys Brian Young to top spot. The always cheery Michael Broadhead despite a strong showing for the majority of the race was happy to let the more youthful guys battle it out for the top spots and settled for a well deserved 3rd place. Keith Weir, David Montgomery and Gavin McGucken followed with great runs in close procession to take 4th, 5th and 6th spots respectively. Not to be outdone by the OAC men’s success Gemma Blake put in a strong performance to take 3rd place in the ladies section (44:28) behind Niamh Kellet (East Down) and Kyla Henderson (unattached). 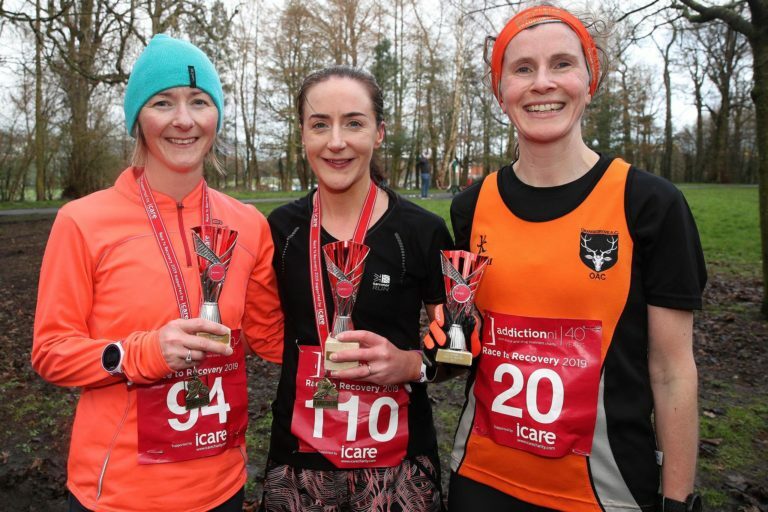 Julie McKimm and Pauline Baylis followed Gemma in 4th and 5th spots and Edwina Ternan came in 6th returning refreshed from her long holiday in New Zealand. In the 3Km Fun run, Junior member Elijah Blake also ran well to take 2nd place. The following members achieved some fantastic 10K PBs on the day. Danny Bradley, Steven Gilliland, Sharon Howe, Keith Weir, John Ferris, Ryan Kerr, Gavin McGucken, Emily Paisley and Roy Skillen taking part in his 1st 10K race for the club. Photo credits Addiction NI, George Gribben, Jenny Powell, Michael O’Donaghue.